Making the decision to become a gardener is one that requires a lot of thought and consideration, as gardening takes a lot of time to do well. If you are interested in becoming a serious gardener, you will need to do some things to prepare yourself and your yard so you can get off on the right foot. The more time that you spend planning, the easier your first garden will be and the more enjoyable your entire experience will be. Before you break the ground on your first garden there are three things that you will need to do. The first thing that you need to do is create a dedicated space for your garden. You can start as large or as small as you want, and the size of the garden should be one that you will be comfortable with taking caring of for a while. If you start too small you may be discouraged because you will not be able to do the things that you want to do, whereas if the garden is too large, you might end up with a lot of empty space. Know what kinds of plants you want to grow, draw up a diagram and then you can decide how large the garden needs to be. After that, you can either rope off a section of the yard, or you can set up a small flower bed to be the place where you grow your garden. While you are planning your space, you also need to be planning the kinds of plants that you intend to grow. A good idea is to contact the place where you plan to get your seeds or your bulbs for some ideas about what is best suited for your soil and your climate. To be successful, you should grow plants that are native to your area your first time. If you start with seedlings or bulbs, you will have a head start on your garden and you will not have to worry so much about caring for the plants when they are in their most delicate stage. Finally, you will need to make sure that you have all of the right tools. You should start with a small tool box or kit where you will keep the hand tools that you will need to use on a regular basis. This should be large enough for the tools, without being too heavy to move from place to place. In that tool kit you will need a hand spade, a small rake tool some gloves and some pruning shears. These tools will let you take care of the garden at its lowest levels and let you control the garden’s details. You might also want to invest in some knee pads so your knees do not get too sore while you are working on your garden. For larger projects you will want to have a full rake and a full sized hoe. This will allow you to gain leverage when you are working with tough soil and prevent you from hurting yourself while you are taking care of the toughest tasks. To hold all of your tools, and the fertilizers that you will need to keep your garden growing, you should invest in a gardening shed. This will keep your tools out of the way and keep them organized for when you need them. A shed does not have to be all that costly, and if you buy a shed and decide that you do not want to continue gardening, you can still use the shed for storage later on. Taking care of a garden is something that can be relaxing and very fruitful, but it is not something that you can just jump into. You will need to do some planning and consider what you want the garden to look like when you are done. 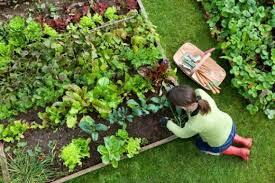 The more time you spend planning, the better the garden will look in the end. I am Britney Meyers and I have been a gardener for almost thirty years. I wrote this article to help young people get involved in gardening by letting them know what they need to get started. The garden sheds area seller Space Makers Sheds (www.spacemakerssheds.com) provided me are extremely high quality and very affordable. I highly recommend Space Makers to anyone who is interested in beginning a garden on their own.